Not long after Facebook’s announcement of its new Graph Search, Microsoft has debuted a new Bing social sidebar designed to incorporate more Facebook data into its search results. Bing users will now receive five times more content and much more relevant information from their friends’ Facebook timelines. 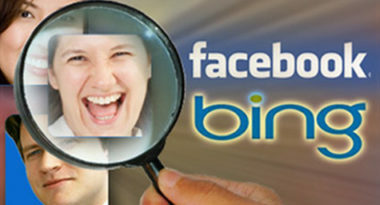 eWEEK.com covered the details of Bing’s social search upgrade. The prior Bing sidebar obtained results only from Facebook profile data, “likes” and photos. The new sidebar will now add comments, shared links, and status updates into the results stream. With these social media search improvements, Bing is redefining itself as more than just another search engine that delivers information. Now, Bing is positioned to offer a better search experience by providing more socially relevant results. Plus, Facebook’s simultaneous introduction of Graph Search and its advanced functionality to mine through its abundance of users’ timeline information ensures that much more social media data will be delivered to Bing users. While some industry analysts have said that the coincidental timing of Facebook’s Graph Search and Bing’s new social sidebar hint at collaboration, they are actually separate technologies. Graph Search is designed to sort through the social media network’s goldmine of timeline data, while Bing’s social sidebar allows users to access that social data based on specific search requirements. To learn more about integrating the new Bing social sidebar into your social media marketing strategy, contact MDG Advertising. MDG Advertising, a full-service advertising agency with offices in Boca Raton and New York, NY, is one of Florida’s top integrated marketing agencies. Our 360° approach uses just the right mix of traditional and digital marketing to reach your advertising goals. While some industries may fare better in print and others online, we strive to create a balanced approach, where traditional, social media, and digital marketing efforts support each other and your message is tailored to the medium. To stay on top of the Bing social sidebar and the latest trends in social media marketing, contact MDG Advertising.